Heavy rains have fallen across Missouri this week, causing flooding in some areas. Officials encourage everyone to make good decisions when traveling in flooded areas. Flooding, especially flash flooding, has proven to be extremely dangerous and can be fatal. o Never think that because you made it across a flooded low water crossing in the past that you’ll make it the next time. Many areas have seen record flooding and others will in the future. o Never be tempted to drive into floodwater because it appears shallow. Looks are deceiving and the roadway may not be intact. Floodwater often washes out roads or compromises their structural integrity. o Less than a foot of moving water is enough to push a vehicle. o Think about everything you could lose before trying to save a few minutes by not turning around. Barricades closing a roadway are there to protect you. Drivers must respect barriers or barricades put in place by MoDOT — it is extremely dangerous and a violation of state law to drive around them. For information regarding road closures please visit Missouri Department of Transportation’s (MoDOT) road condition map at the Missouri State Highway Patrol’s website www.mshp.dps.mo.gov. Keep in mind that road conditions can change often with flash floods or heavy rains. The map is updated regularly, but it is not possible for Patrol personnel to predict future road closings or water levels of specific rivers, lakes, or streams. Drivers are encouraged to check for updates often when planning their route and just prior to actually traveling. Flooding also affects safety on Missouri’s waterways. The Patrol asks boaters across the state to take extra precautions when boating in flooded areas. Large amounts of rainfall cause rivers and lakes to become swollen. Many times the right decision is to stay off the water. In areas where lakes or rivers spill over the banks, erosion and damage can occur to flooded structures, docks, or water laden levees by boat wakes. Boaters should avoid operating in these areas. If operation in these areas is necessary, boaters should operate at idle speed so as to avoid causing a wake. Flooded rivers and streams with moving currents present some of the most dangerous situations a boater can encounter. 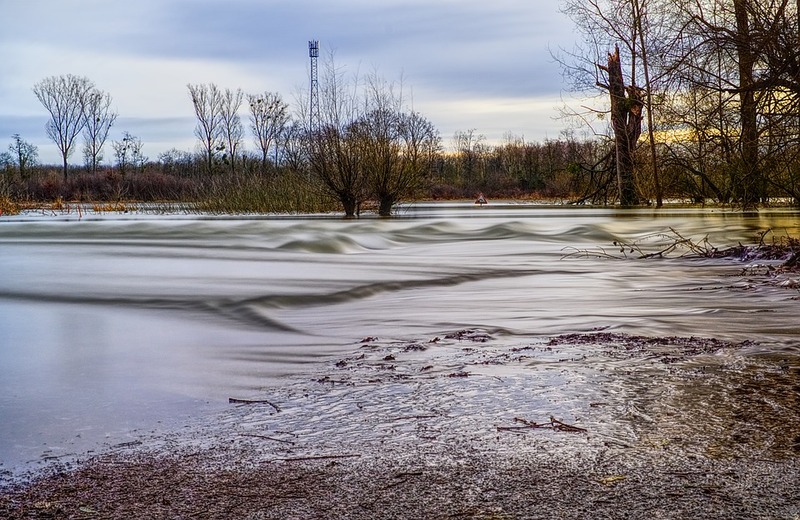 Fast moving water can easily capsize or flip a boat—or personal watercraft—especially when combined with fixed objects such as trees and buildings. Boaters should avoid any operations in these swift flowing waters.